As we move into the fall season don’t give up on house hunting until next spring. Autumn can be a great time to find your dream home. From year-end tax breaks to less competition and eager sellers, autumn may bring home buyers many benefits that you will not find at other times of the buying year. 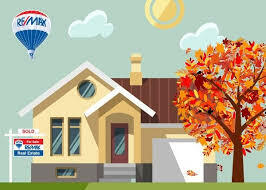 Click here to read the Five reasons why Autumn may be the right time for you to buy your home!